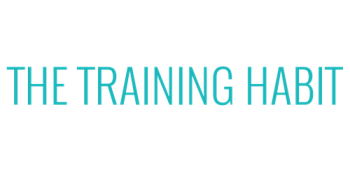 The Training Habit in Orange County is a one stop shop for personal training, yoga and group classes with high energy who strives to help residents and employees of Newport Beach, Costa Mesa, Irvine, Tustin and South Orange County. With over 25 years of combined experience, our company prides itself on top quality knowledge and training experience. Our work ethic and care put forth towards our personal training clients and profession is unparalleled. Our certified personal trainers have a burning passion for fitness and have a desire to share it with all who are ready to commit to a healthy lifestyle. I was in a real bad place at one point and turned to behaviors that really sent my health and looks down hill. After a lengthy search I found The Training Habit and they helped me turn my life around!" I have been a member for about two month now. The group classes are exactly what I was looking for - small enough to get one-on-one attention but large enough to keep me energized and motivated. Offering private training as well, The Training Habit is a hidden gem. Owner Kai is a rockstar! Special shout out to trainer Ali! Each day I grow stronger and see the results I have been striving for. I have been a member of The Training Habit for a little over two months now. I am telling you, I used to be a little "groupon groupie." I have LITERALLY tried everything; Core Power, Fit Body, Crossfit, ect and none of them amounted to what The Training Habit has provided me the last two months. I walked in and had a sit down with Kai, she did a fitness assessment, weight and measurements and I hit the ground running with a personal trainer and group class schedule. I do my trainings in the morning before work and the AMAZING group classes in the evening. They have perfect times for an office lifestyle.